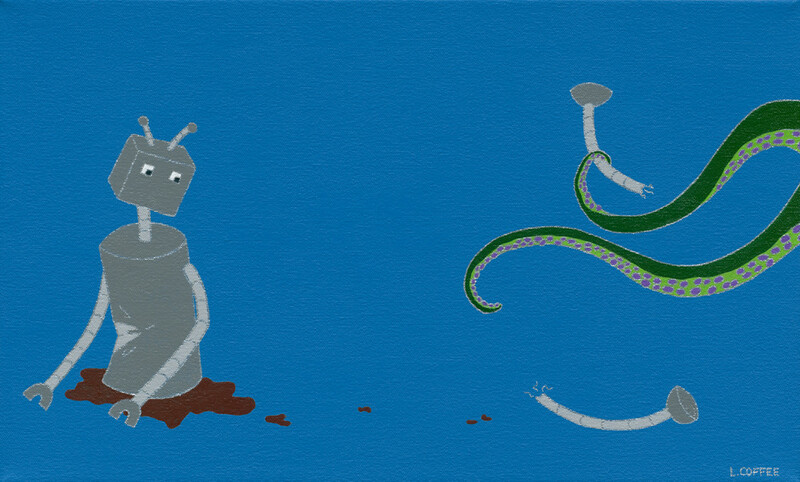 A legless robot and tentacles. A legless robot is beset by tentacles. We all know the feeling, one minute you're walking down the street and everything is going right, the next you've been torn limb-from-limb by a merciless tentacle monster. It could be worse, at least it didn't get your arms too. Original (12"x20") available, contact l.coffee.designs@gmail.com for details.